YouTube is full of interesting footages from the past decades. One these videos is an uploaded excerpt of the Manila Summit Conference back on October 24 to October 25, 1966. In this footage, we witness how Ferdinand Marcos led other 8 World Leaders to discuss and solve the pressing problems of the world at that time. The Manila Summit Conference is a progenitor of the more popular APEC Summit of the post-Cold War Era. 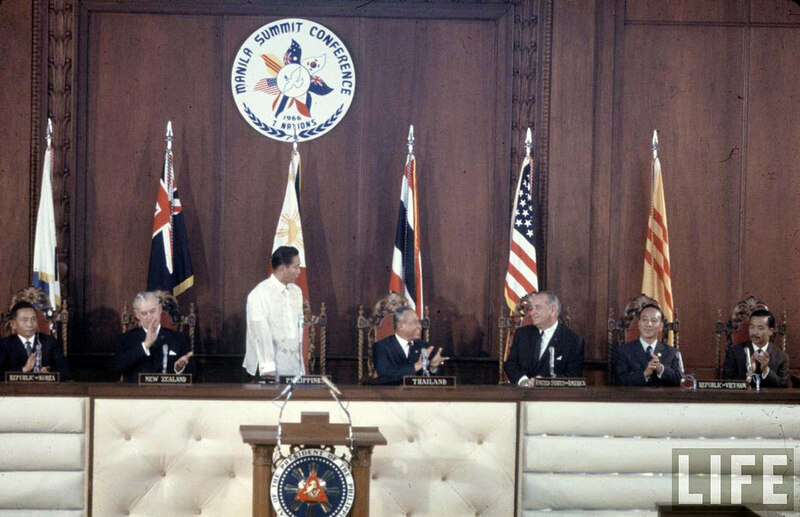 The participants of Manila Summit Conference were President Ferdinand E. Marcos of the Philippines, President Lyndon B. Johnson of the United States of America, Prime Minister Thanom Kittikachorn of Thailand, Chairman Nguyen Van Thieu and Prime Minister Nguyen Cao Ky of the Republic of Vietnam. Prime Minister Harold Holt of Australia, President Park Chung Hee of the Republic of Korea, and Prime Minister Keith Holyoake of New Zealand. The Summit Conference happened at the height of Vietnam War and aggression against the looming Communist threat. The world leaders also addressed how they can stimulate economic growth in the region, and foster more cooperation among the free world. Here we can watch Ferdinand Marcos lead the discussion of the Summit.